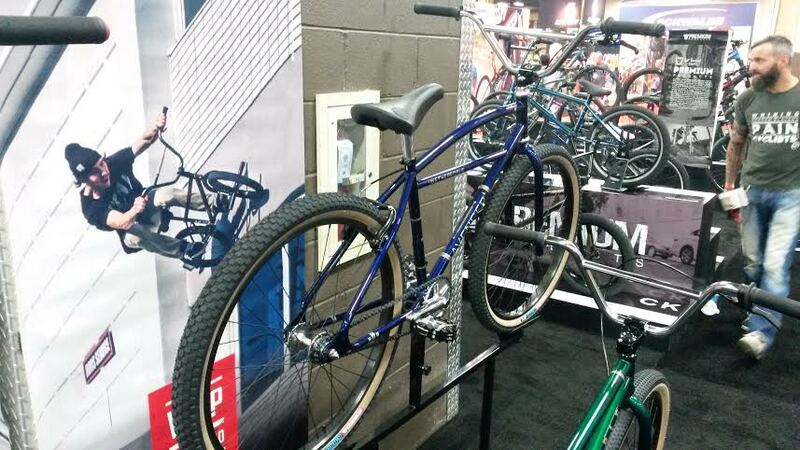 One of the first booth’s I made a beeline to at Interbike this year was We The People. I had heard rumors that We The People were going to have two (TWO!) cruisers in their lineup this year. 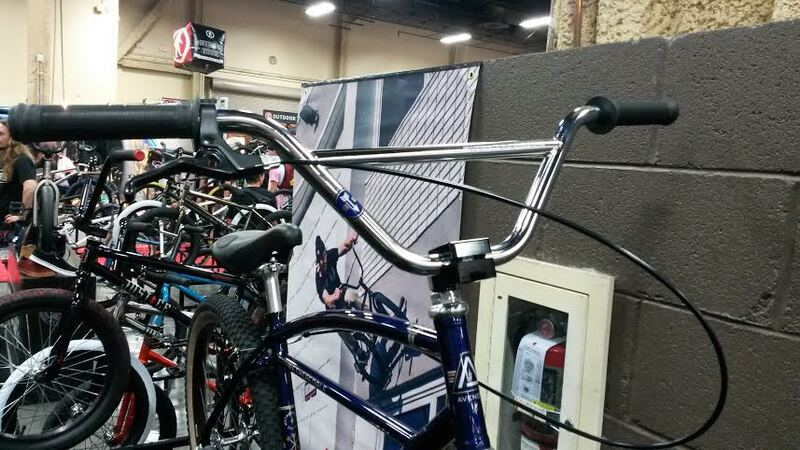 When I got to the booth those rumors were confirmed…not only was the 24″ Atlas returning to the lineup (more on that in a bit) but We The People (WTP) had put together a real…dare I say it?…show-stopping 26″ cruiser. Employing the Avenger name used on cruisers in previous model years, this particular iteration is like no previous version of the Avenger. Taking style cues and inspiration from classic Laguna beach cruisers, WTP combined old school elements with modern-day tech to make a fun bike perfect for chill riding sessions and cruising the neighborhood. 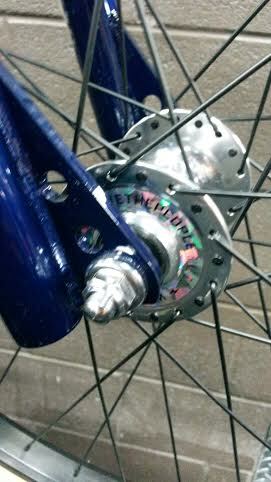 To make the ride more responsive than the typical beach cruiser, WTP raised the bottom bracket a bit and tightened the rear end a bit. 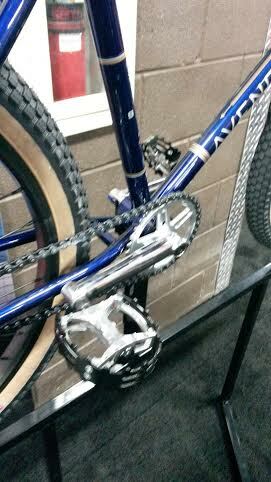 To keep the looks classic, a quill stem, American bottom bracket, and bear-trap pedals were used. And could you put a pivotal seat on a bike like this? 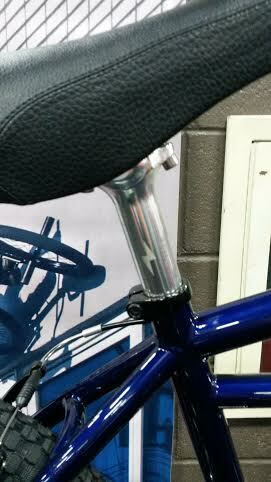 WTP got it right by going with a standard seat/seat post combo. Adding sealed bearings throughout keeps things trouble-free. 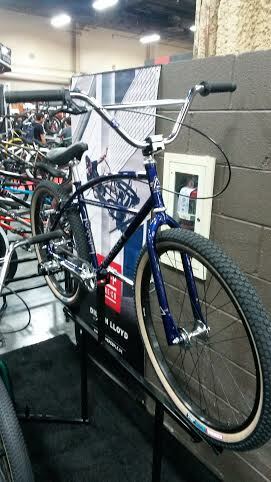 It just makes you wanna get behind the bars and cruise, don’t it? WTP has made some great cruisers throughout the years but I have to say this one has really got me stoked. I’m a sucker for shiny blue frames and tanwall tires too…so I can’t help being smitten by this bike. 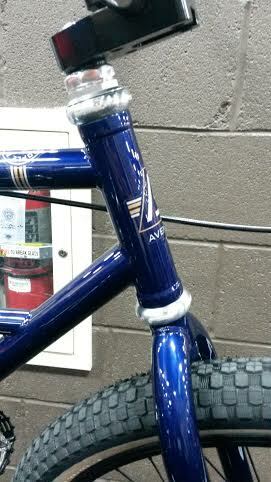 The frame on the Avenger is a full Hi-ten frame with a Cr-Mo downtube, the fork and bar are both 100% Cr-Mo. What is with the hi-ten? Same as the model c. I know this is just a casual bike but i have heard nasty things about hi-ten and hope they dont carry on this tradition. I see the green atlas in that pic. Wanna know more about that bike!!!!! !